2012 SWARMs establish an emerging trend: Is there a connection? Can it be denied any longer? We don’t think so. The place is changing, and changing very, very fast indeed! 2012 has already seen swarms of major earthquakes rarely seen in a single year. The Indian Ocean, Mexico and Japan have all experienced a dramatic uptick in major seismic events. Two of the recent Sumatra earthquakes topped 8.0 on the Richter Scale at 8.6 and 8.2 respectively. Mexico has likewise had it’s share of recent earthquakes, all clustered in the same general region and followed by aftershocks of unusual strength. As for Japan, the earthquake capital of the world, it never really let’s up but the frequency is consistently as high as ever. As for tornado swarms, the USA ducks and takes SERIOUS cover every time a new front moves across the plains and other midwestern states. Everyone is beginning to wonder which town, village or hamlet will be obliterated by the next huge swarm of tornadic super cells plowing through the grasslands. We have come to learn these past few years that tornados love to travel in packs just like jackals. They come and go with lightning speed devouring everything in their path. We also have an extraordinary ramping up of Positive Lightning Strikes (PLS) never before seen by modern man in such numbers. 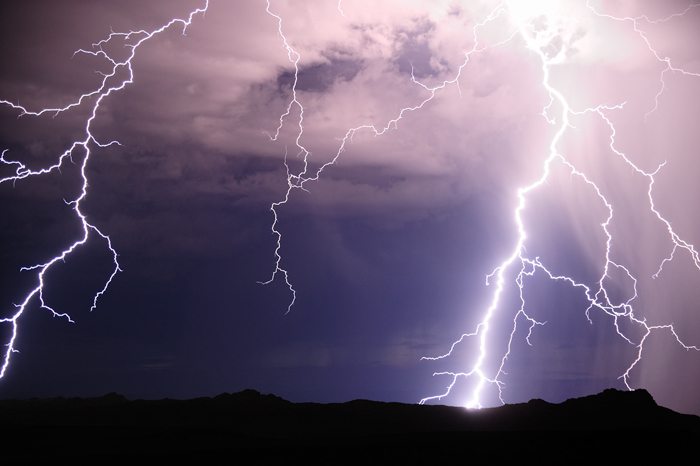 These strikes are at least 6 to 12 times more powerful than the regular negative lightning strikes which have traditionally terrorized the land. In the case of PLS, we are witnessing a whole new meteorological dynamic which is being greatly affected by two primary co-factors, both of which we have no control over. 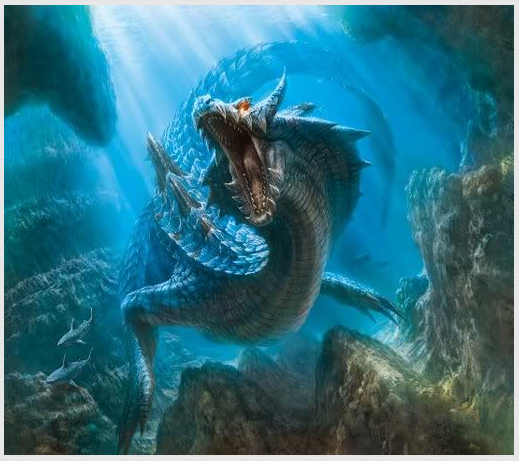 In Chinese astrology 2012 is the Year of the Water Dragon. Therefore, we know for sure that we ought to look out for a few things. What do Water Dragons do, you might ask yourself. Well, they can fly through the air creating all kinds of wind disturbances (thunderstorms) and air vortexes (tornadoes), intermittently spitting fire (lightning). They can also fly into the seas and emerge in an instant producing undersea seismic events, as well as things like tsunamis and tidal waves. Another very significant point identified by Chinese astrology is that the United States of America was born on July 4 1776. This would mean that the good ole USA was born as a Fire Monkey, which are known for being extremely captivating, inventive, and assertive with a tendency to dominate or teach those less aggressive than himself. The Fire Monkey possesses creativity that is born of willpower, necessity and initiative, and these will enable him to upstage others and keep one step ahead of the game. Considering all of these traits in the aggregate, it could be said that when the astrological alignments permit, as they do throughout 2012, the USA may bring upon itself some “very interesting times”. 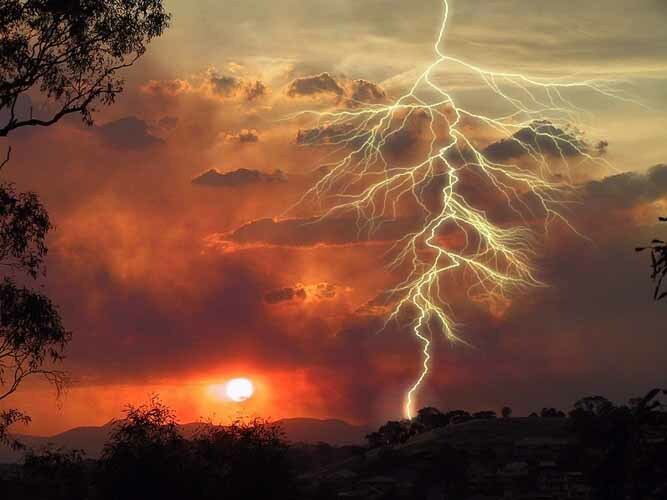 Whether these occur through the outworking of meteorological or geological events cannot be predicted with certainty; however, a definite pattern has already manifested. At the end of the day, the Water Dragon will more likely rain on and thunderbolt both the theatrics and hysterics of the Fire Monkey. After all, monkeys can’t hide in trees from flying dragons, can they? According to Vedic Astrology, the Nandana year began on March 22nd of 2012 and will last until April 10 0f 2013. There are certain distinguishing characteristics of the Nandana year, which occurs only once every 60 years. However, in this particular year of 2012, we also have a confluence of other astrological circumstances conspiring to bring about some quite surprising and spontaneous global fireworks. “Since 2008, the U.S.A. natal chart has been operating under the Mars Major Dasha continuing until 2015, (a 7 year cycle), resulting, amongst other things, in continued U.S. troops present in other countries across the globe. “The Mars transit casts a long shadow on life in America, 2012. However, it’s now abundantly clear to most everyone that we have entered a tumultuous period of Global Climate Change, Global Earth Changes and Major Solar System Flux. About that, there can be no doubt, especially after after perusing the volumes of scientific evidence available in the public domain, as well as listening to the reams of anecdotal evidence being presented by people everywhere. Therefore, now that the transitional period has begun in earnest, perhaps it’s incumbent on each of us to get wise. Wise about how to live our lives in light of this new normal. 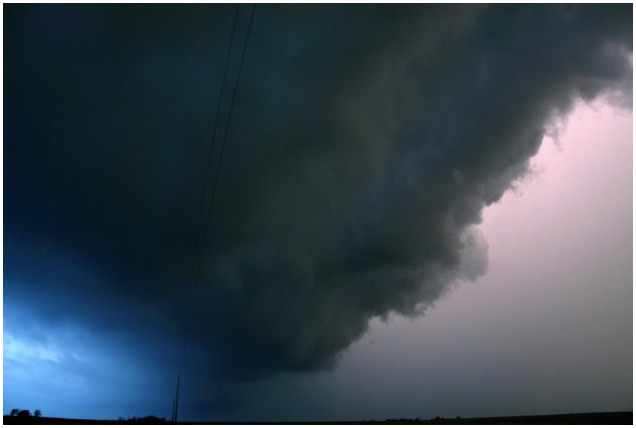 For instance, as we consider that positive lightning strikes are becoming more frequent, more destructive and more powerful, we ought to really formulate a game plan for when these severe thunderstorm supercells start hitting the ground … all around us. If you’re not convinced that we have entered a new era of weather activity, consider the following description of positive lightning strikes. 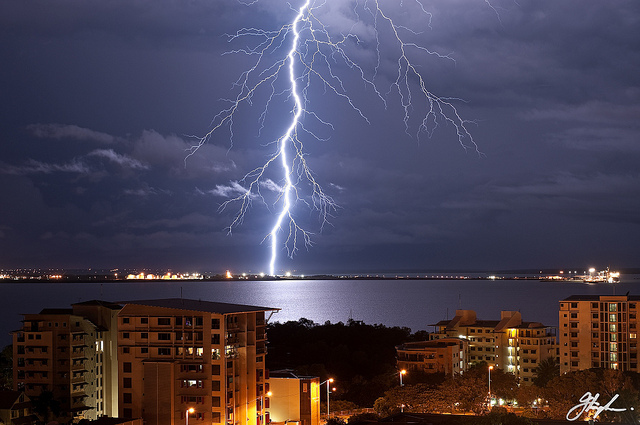 “Positive lightning makes up less than 5% of all lightning. 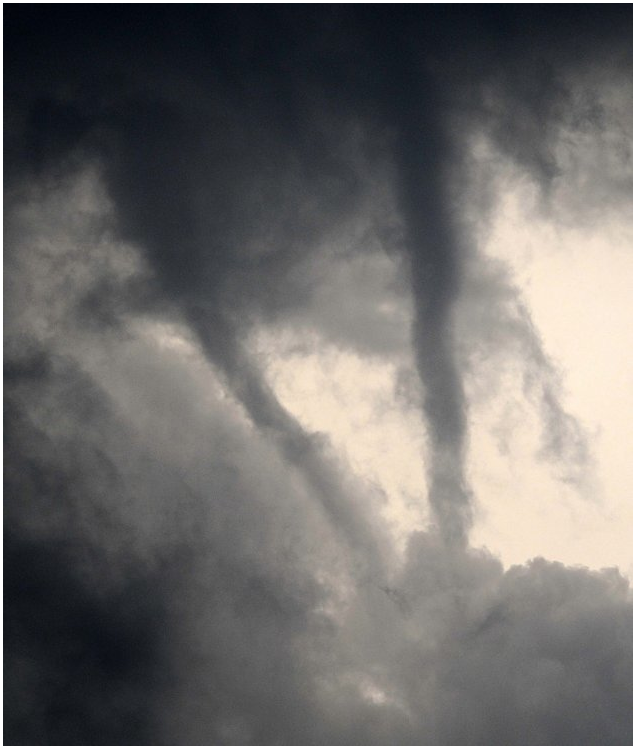 It occurs when the stepped leader forms at the positively charged cloud tops, with the consequence that a positively charged streamer issues from the ground. The overall effect is a discharge of positive charges to the ground. 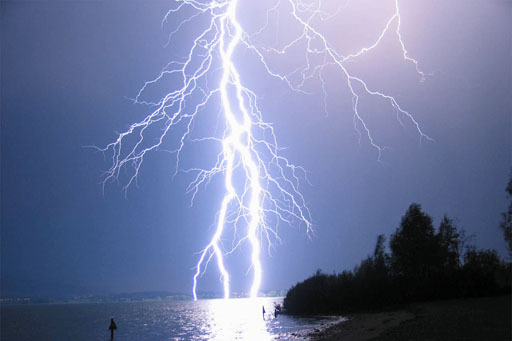 Research carried out after the discovery of positive lightning in the 1970s showed that positive lightning bolts are typically six to ten times more powerful than negative bolts, last around ten times longer, and can strike several miles distant from the clouds. 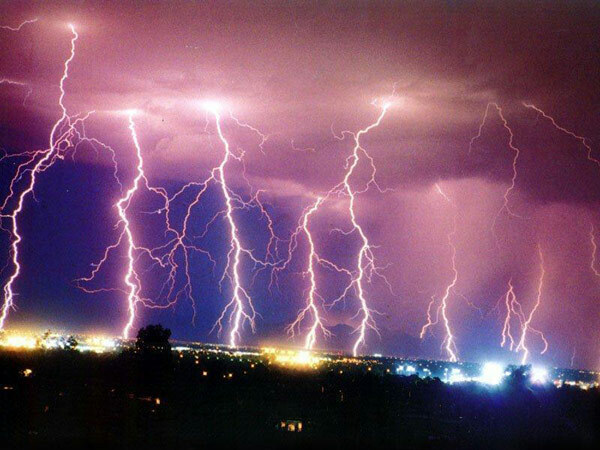 During a positive lighting strike, huge quantities of ELF and VLF radio waves are generated. 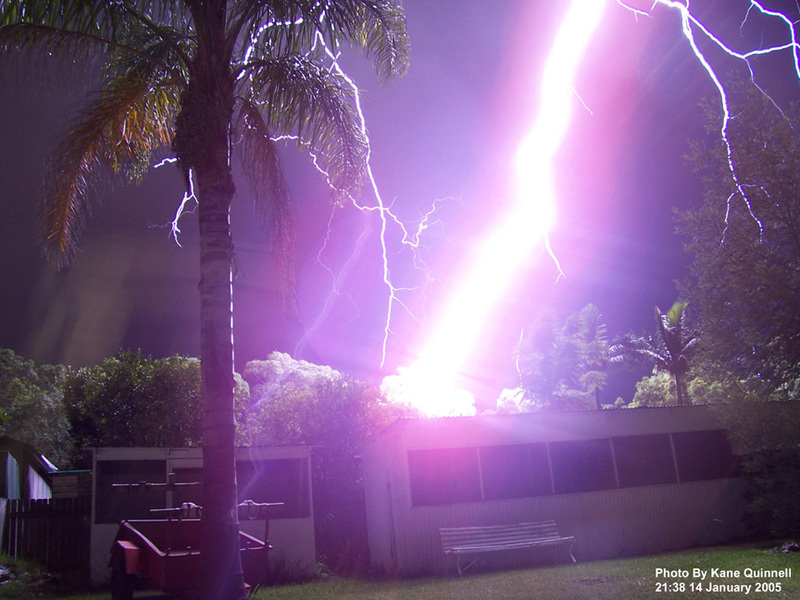 As a result of their power, positive lightning strikes are considerably more dangerous. At the present time aircraft are not designed to withstand such strikes, since their existence was unknown at the time standards were set, and the dangers unappreciated until the destruction of a glider in 1999. It has since been suggested that it may have been positive lightning that caused the crash of Pan Am flight 214 in 1963. Positive lighting is now also thought to be responsible for many forest fires. 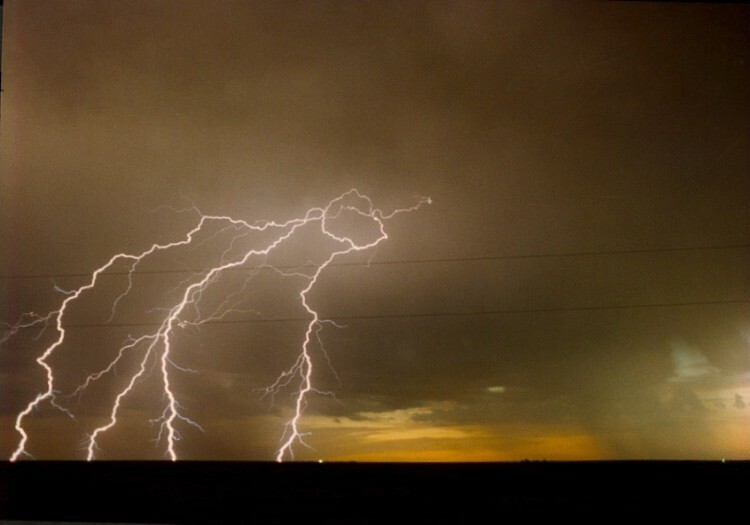 Positive lightning has also been shown to trigger the occurrence of upper atmospheric lightning. 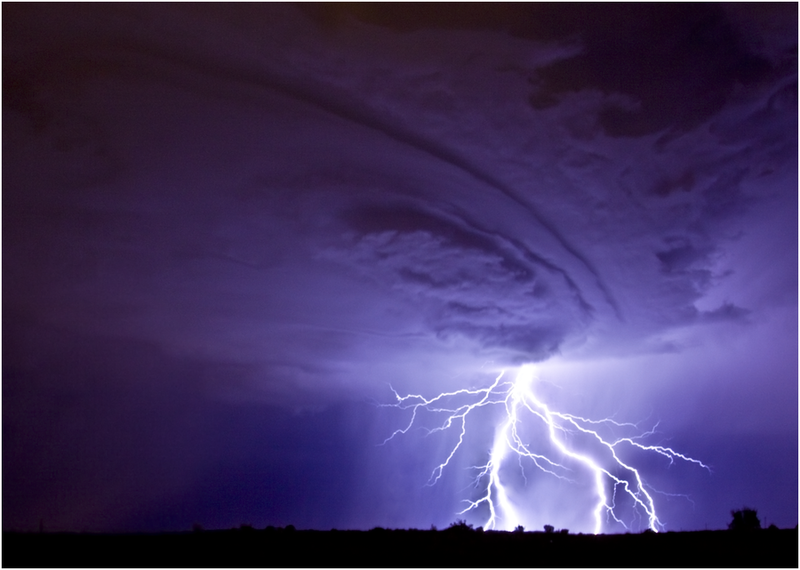 It tends to occur more frequently in winter storms and at the end of a thunderstorm. Just in case you don’t believe these thunderbolts aren’t getting bigger, stronger and more destructive, here are some recent photos taken in different places on the map. There, are you convinced yet?! What were suggesting is that folks everywhere ought to respond differently to thunderstorms by simply taking extra precautions. Here at the Cosmic Convergence Research Group, we unplug everything worth more than a hundred dollars when these supercells come rolling through our area. We’re talking all computers, modems and routers, TVs, washer and dryer, all stereo components, air purifiers, etc. After seeing our neighbors have to replace all of these items, as well as repair the severe damage to their roofs and home electrical wiring, we were convinced. Tornadoes, of course, are an entirely different animal. 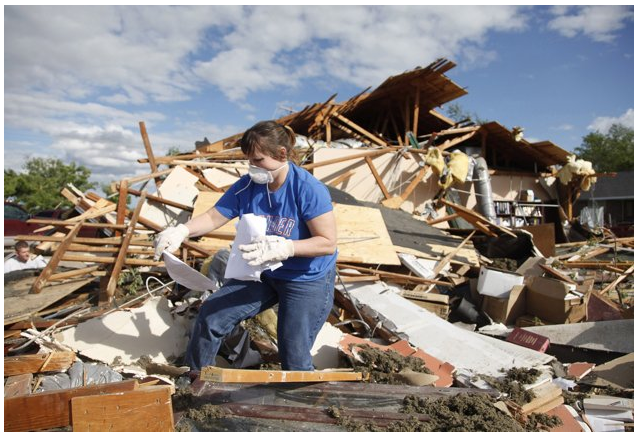 Whether you live in tornado alley or not, you need a Plan A, Plan B and Plan C. Only the folks in Kansas and Oklahoma, Nebraska and Iowa can formulate those. 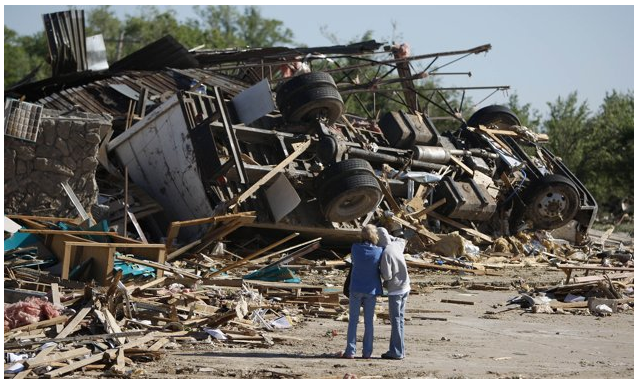 As for the majority of us who rarely, but may “hear the freight train coming where there ain’t no tracks”, getting to a secure structure – while travel is somewhat safe – is critically important if you happen to live in a trailer park, your own doublewide, or a cracker shack in the Louisiana bayou. Without question getting to the middle of the home, apartment, or office building is a vital step, staying away from windows and doors all the same. For those living in basement territory, that’s the best place to go. Or, getting to a building whose foundation and structure is strong and firm, and perhaps one that is protected by other buildings around it. In the past, these tornadoes seemed to love wide open spaces and tended to shun the urban areas, but that’s all changing now. Even the big cities have come under serious assault recently. Earthquakes pose an entirely different set of challenges, primarily because you never know when or where they will strike. What we can say is that, for those living throughout the Ring of Fire, they will become more frequent and more powerful as all the data has shown over the past few years. There are several developments which have made many areas more prone to seismic activity. Hydro-fracking for natural gas in places where this practice never occurred before appears to significantly increase the likelihood of earthquakes. So does drilling for oil, especially in those areas which possess compromised, unstable or quickly changing geological formations. Undersea, those would be salt domes, mud volcanoes, mud domes, as well as near the edge of the continental shelf. Of course, in places like the San Andreas Fault and Hayward Fault Zone in California, there is always the chance that a 500 or 100 year earthquake may strike. With the Ring of Fire heating up as it has been for many years, it would be imprudent to dismiss the potential for hugely destructive earthquakes to occur in our lifetime. Even the New Madrid Seismic Zone has seen an awakening these past few years, which has given pause to many because of the increased population densities which now domicile throughout that region. During the last major earthquake activity in that area of the USA, it was quite sparsely populated so the loss of life was minimal. Were a big one to occur today, there would be great risk to human life, state and city infrastructure, nuclear power plants, among many other vulnerable industrial plants and various structures. 2012 isn’t going to be just another year. 2010 saw the BP Gulf Oil Spill. 2011 experienced the Japanese 9.1 earthquake, 45 meter high tsunami and historic meltdown at Fukushima. 2012 will bring what it may bring, but we know it has already demonstrated a marked increase in all of the aforementioned meteorological and geo-physical events. Although these types of events are much more sporadic and short term, they will affect many more people over a much greater area of the world. In the Deep South (both the Gulf of Mexico and Atlantic coast) they can manifest as hurricanes; in the Far East as cyclones. Clearly, we have entered a period where each of us can be challenged to respond in real time to any one of a number of unexpected events. Here are some additional perceptive comments from the previously referenced astrology essay. “The Mars transit is a significant and consequential underlying influence in the current period because it amplifies the seven-year Mars influence currently operating. This means a greater incidence of violence, agitation, revolutionary tendencies and expressions of rebelliousness, and violence due to desperate conditions of one kind or another. Environmental and climatic conditions will continue to be abnormal resulting in extreme temperature conditions that can bring flooding, tornados and hurricanes, amongst other affects. We will continue to experience a greater incidence of natural calamities of any variety. There will be greater incidence of fire, explosions and accidents. All of these phenomena will be in evidence to a greater extent than we have witnessed before. (ii) A perceptible uptick in the number and intensity of sunspot activity and solar flares on the sun.